A multimodal route between the port of Rotterdam, port of Kaliningrad and destination Chengdu has been tested. 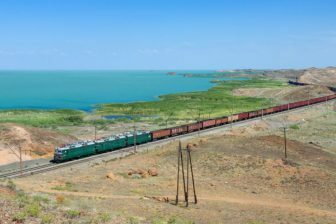 Cargo was delivered by sea to the port of Kaliningrad, from where two full trains carried the delivery through the Kazakh border point of Dostyk to Chengdu in China. 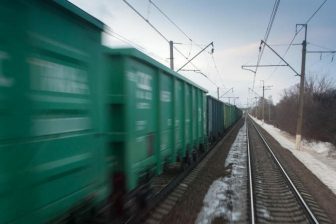 The trains departed from the port in the Russian enclave on 7 November, operated by the United Transport and Logistics Company – Eurasian Railway Alliance (UTLC ERA) in cooperation with Belintertrans-Germany LLC and the Kaliningrad Sea Trade Port JSC (KSTP JSC). 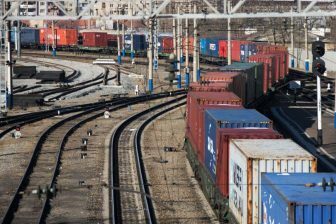 Although trains through the overland terminals of Kaliningrad along the route China – Europe – China are regularly running, it was the first service of UTLC ERA making use of the port of the region. “We believe that multimodal transportation in the context of container transit transportation increase has great prospects and can serve as a good complement to the basic land routes. We are yet to improve the technology, to analyse the readiness of the transport and logistics service, president of the company Alexey Grom said. UTLC ERA applied its combined trains technique dubbed the XL-train, which makes it possible to optimise railway capacity, reduce costs and increase efficiency and profitability for the carriers, he added. 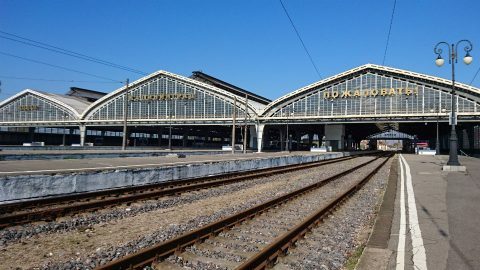 Kaliningrad lies between Poland and Lithuania, and re-routes freight trains on a 9,559 kilometer journey through Lithuania to continue on the Eurasian Rail corridor through Belarus, Russia, and Kazakhstan. The transit through Kaliningrad takes twelve hours, from the moment of exiting Lithuania until entering Poland. This includes transshipment at the Dzerzhinskaya-Novaya terminal. Starting from November 2018, UTLC ERA handles three pairs of trains in each direction at this station, the company said. On 21 February, 2018 UTLC ERA and Kaliningrad Railway signed a Memorandum of Cooperation regarding the development of the multimodal route, which includes rail from Dostyk/Altynkol stations in Kazakhstan to the port of Kaliningrad or Baltiysk, where cargo is further transmissioned by sea transport and delivered to the ports of Northern Europe. The total freight traffic volume handled by UTLC ERA in the first ten months this year has reached 214 thousand TEUs. This is 57 per cent more than during the same period in 2017, when 136 thousand TEUs were transported. In October 2018, UTLC ERA transported 28.22 thousand TEUs. 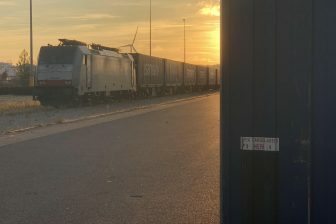 The company manages a fleet of fitting wagons, which is about four thousand units in number, 85 per cent of which are long-base 80-foot wagons. Every day up to fifteen full container trains are transported on the 1520 mm gauge rail network.